SDC- Tell us something about your background? JR/MS- We are both sound artists, coming from different backgrounds. Jen studied sound art, composition and performance and has curated numerous site-specific performance events in Montréal. Max studied electroacoustic composition, and he developed and runs the Montréal Sound Map (and various other web-based sound maps). With a shared fascination with the urban soundscape and reverberant spaces, we began working together in 2008, creating immersive site-specific compositions and performances. Our first collaboration took place in Square Victoria Metro station in Montréal. Using the space as a foundation for musical composition, we layered live horn with field recordings amplifying the rhythms and the hidden harmonies in the space. It was immediately clear that we shared a fascination with these kinds of transient spaces, and since then we’ve created a series of installations and performances in metro stations, tunnels, underpasses, and chimneys. SDC- What is the main focus of your project for SDC2013? JR/MS- We will create a series of site-specific performances and installations in resonant locations in Lisbon and Marseille. These events along with field recordings and photographs from our travels will be documented on a sound map found on our website. 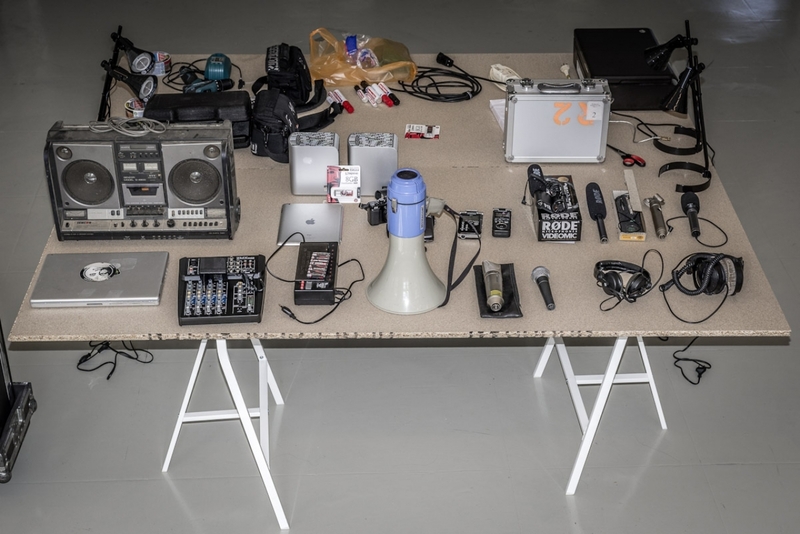 We plan on creating one public performance in each city, leaving time open to explore the city and search for dynamic locations (tunnels, viaducts, cisterns, etc) to create immersive guerilla sound installations / performances. Our work mixes recorded sound from a specific location with a musical composition built harmonically and rhythmically from within the sound environment, colored by the space’s natural resonance. SDC- What do you expect to discover on this year’s SDC expedition? JR/MS- Over the past years most of our work has been limited to locations in Montréal. We are excited to let each city guide us and inspire us to create new dynamic works in different locations.